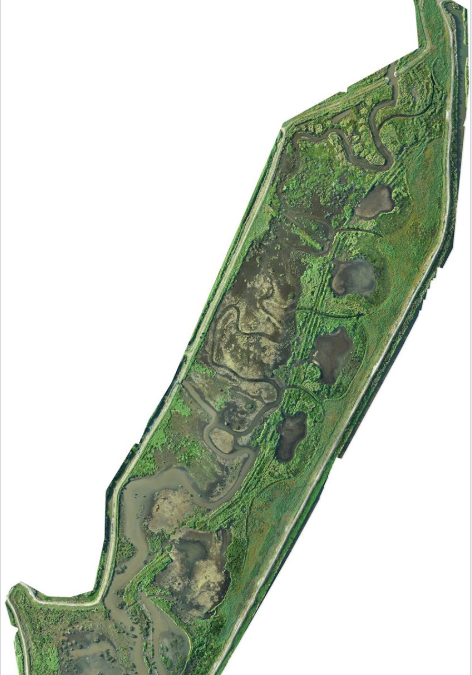 Orthomosaic maps created by Professional Drone Services of Texas are helping scientists pursue an important wetlands restoration project in East Texas. An orthomosaic map – an aerial photo or composite of a series of photos corrected to eliminate the distortion of a regular map – is the only way to measure true distances for scientific purposes and provide geo-location information for every square inch of the land being restored. To create the orthomosaic map, PDS pilot Hayden Franks took a series of aerial photos of the 200-acre area. Using Drone Deploy’s software, he was then able to merge all the images (taken from many different angles) into one geo-corrected, 2D orthomosaic map. “We’re very proud to be part of this environmental conservation effort, and that – thanks to our aerial mapping technology – we were able to complete it in just a few hours,” says Hayden Franks. Mapping or surveying with a drone has quickly emerged as the fastest, most affordable and efficient way to produce maps of large plots of land, he notes. And PDS’ software allows them to produce maps with resolution up to .98 inches per pixel and can deliver survey grade, accurate maps of up to 2cm. For example, on another project with 85.6 acres approximately 1,600 GPS Coordinates and 10 Ground Control Targets (or GCP’s) was needed to produce accurate data. When traditionally surveying the land, an average of 1 GPS Coordinate is collected every 3 minutes. Total, would have taken approximately 82 man hours to collect the data and then another 3 to 4 days to produce the map. Going forward into the next phase of the project, PDS will also be helping the scientists assess crop, soil and water health in these areas by gathering NDVI (Normalized Difference Vegetative Index) data with multispectral imaging. Multispectral imaging captures image data at specific frequencies across the electromagnetic spectrum, including non-visible light.